Blue Polo Interactive | Reputation Matters. A Lot. Blue Polo Interactive / Reputation Management / Reputation Matters. A Lot. Many companies invest in PR to get good placement in traditional media. That’s certainly been a winning strategy for a long, long time, but things have changed. And in the age of the Internet, they change fast. The importance of a hot party being picked up in Page 6 of the NY Post is no longer what it once was. A review from a food critic in the NYT doesn’t carry the same weight anymore. A write-up about a travel destination in a magazine or newspaper doesn’t move the needle the way it used to. But reputation is more important than ever. And now one’s public online reputation is more accessible than ever. Which is quite a conundrum for businesses today: if it’s more important than ever, and more accessible too, then why aren’t the bastions of yesteryear enough to defend it? That’s because the Internet has turned the world upside down. People literally have no free time. They do in theory, but not in reality. They’re slaves to their smartphone and everyone having one in their pocket with internet access means that everything is just a click away and has rendered the old world obsolete. I want to find a place to eat? I go to Yelp. Or TripAdvisor. All marketplaces whose currency is customer reviews. I want to take a trip and am looking for places to stay? I use TripAdvisor or Airbnb. Ditto. I need to find how to get somewhere? Google Maps, which links user reviews to local business. I am looking for movies to watch? Rotten Tomatoes. I want to interview at a company? Glass Door. Nearly everything a customer is looking for can now be found at the press of a button (used to be a click of a mouse). Would the typical patron go to the New York Times for food reviews today? Doubtful. First, they probably don’t have a paid subscription to their home or online; secondly, there are only a handful of articles that they’re allowed to view for free each month and it’s unlikely they’d use one up seeking out the NYT food critic. And finally, 64% of people will actively seek out online reviews before making a purchase decision. Therefore, why deal with the friction of trying to navigate the NYT when they can just look up food reviews on Yelp and will trust what they find just the same? Basically, before the iPhone debuted in 2007, all of the things I mentioned above carried a lot of weight. I live in NYC and it was quite common to read a NY Post or Daily News while commuting to and from work. It was still common to get a physical newspaper subscription or pick one up while on the move. People weren’t carrying their computers with them and opening up the news with their carrier Internet card (wi-fi wasn’t commonly used back then). So they’d pick up the paper with breakfast, or take it on the go, and being mentioned was significant, eg Page 6 and other similar sections were featured towards the front and brand mentions for fashion companies and hospitality organizations did wonders for their businesses. If you wanted to learn about companies there were businesses like my former employer, Vault.com, that did a good job of conducting company surveys to give prospective employees insight into the company culture, salary, jobs, etc. That information was made available online and in print. That’s all changed. There is no more friction to seeking out this information but it’s more important than ever. And that’s scary for businesses, who are ill equipped to deal with the change. A good PR Firm with great connections used to be what was needed to get a company picked up in a credible publication, which obviously benefited said company. However, that’s no longer the case; and while there is still certainly value in PR, that money doesn’t go nearly as far as it did since fewer and fewer eyeballs are looking in those destinations anymore. In the new non-friction environment, a company must take its online profile seriously, and address issues or themes that continue to crop up on these public places. They’re not going to change themselves nor just go away. And if it’s happening over and over again, it’s going to be tough to explain it away as FAKE REVIEWS. So businesses have to be proactive about this area of their online presence and can no longer just sit back or just throw money at PR firms to solve this problem. First, claim your listing on as many directories as possible, especially the main ones. Second, if you’re a B2C business, monitor them once a week. 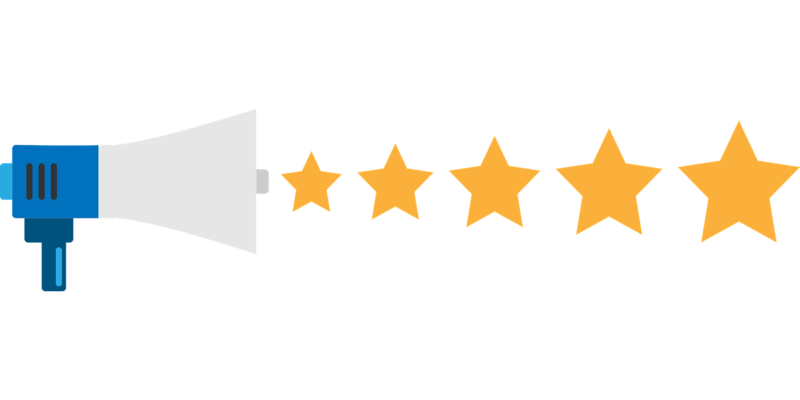 Don’t let bad reviews linger and certainly don’t live under the false impression that feedback unimportant. Take them serious and address accordingly. If you’re listed on Glassdoor, the same rules apply; talent is essential to your company’s success and nothing makes top talent shy away from a company more than a negative culture, or one that’s perceived to be. Unfortunately, most companies don’t have the ability to speak with the applicant before he/she does research online. So, make sure that’s tended to properly. You can bet any amount of money that a worthy candidate will have done some due diligence on the company prior to coming in for an interview. If you are a destination on Tripadvisor or Airbnb, you must take your reputation seriously. If a destination earns a solid write-up in a news or trade publication BUT has so-so user reviews, the latter will be a major deterrent to the value of the former. It’s how this generation is wired and it’s the way it is, like it or not. Mobile has filled the dead spaces in the day. People like to be busy. They’re usually busy “wasting time” on Facebook (e.g., seeing what their friends and family are up to), or looking for things to do or places to go, and that instinctively devolves into: “what are people saying about it?”, and if they’re not saying the right things, next!